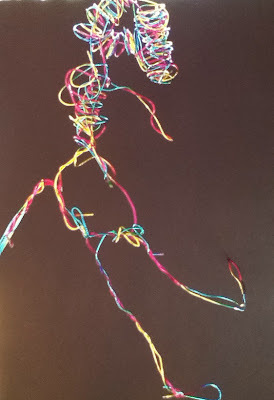 A while ago I collected some different images of artists work that I wanted to share with the children to expose them to new media and ways of expressing themselves. 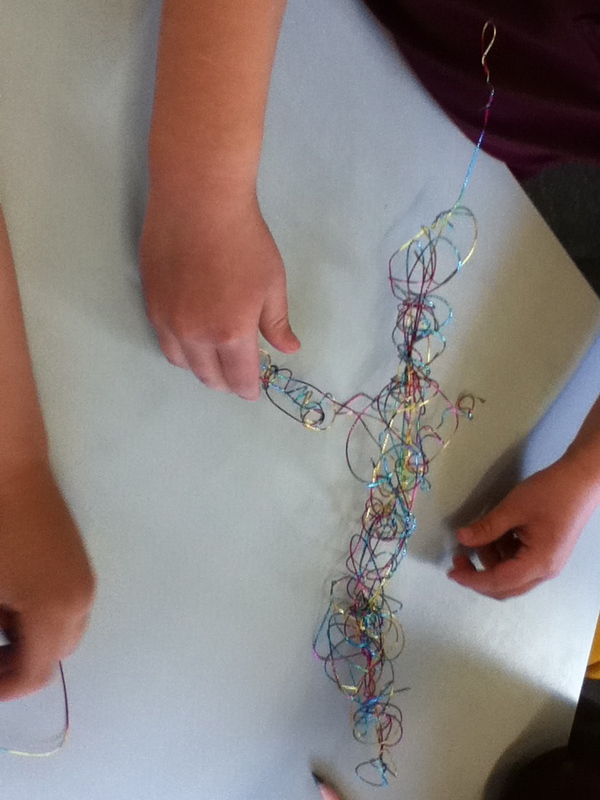 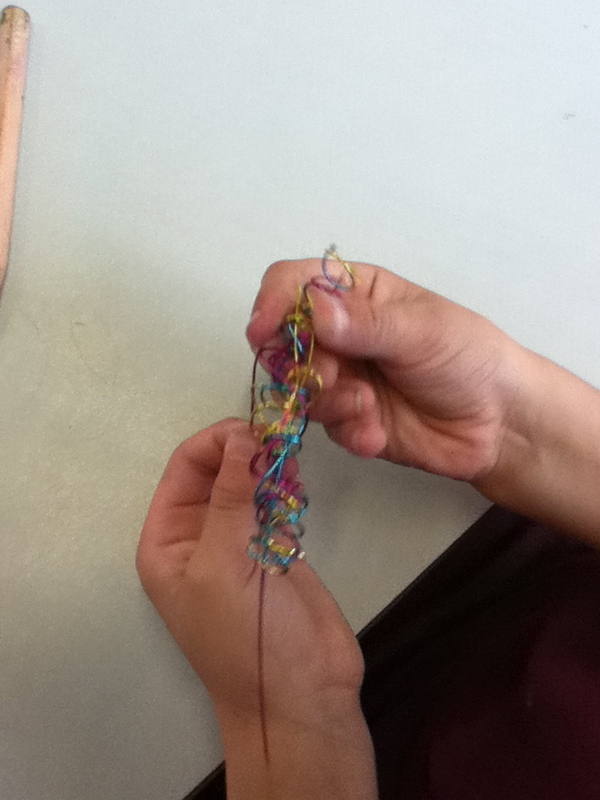 Last week we talked about the wire sculptures by Johnas Borman and the children have been creating with wire ever since. In doing this the children have had to exercise a great deal of persistence as the wire did not always do what they wanted it to. 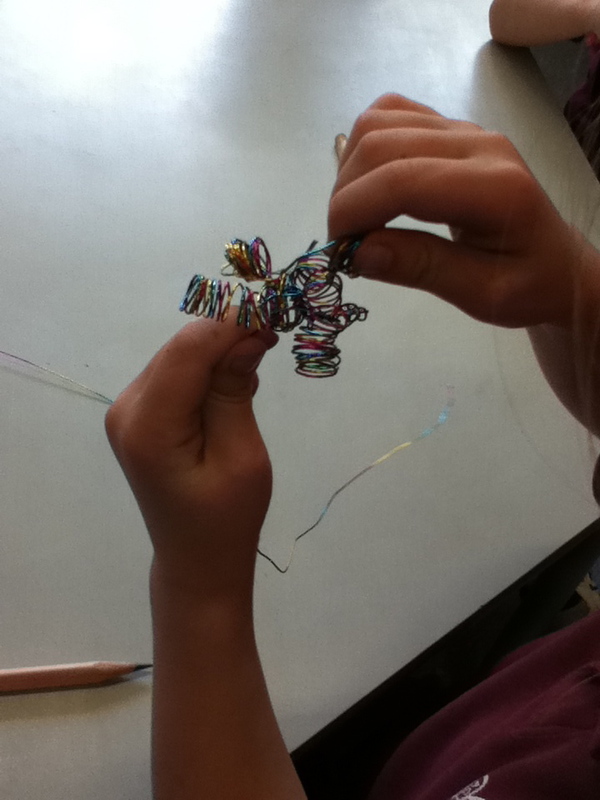 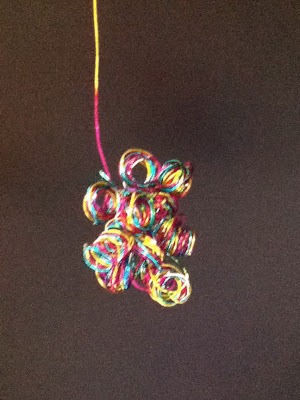 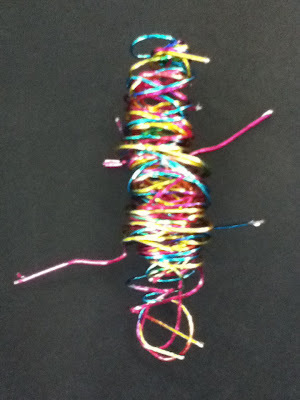 Many children revisited their creations over a few days, experimenting with different ways to manipulate the wire and adding to their artworks.